RadioActive101’s Andrew Ravenscroft joined a roundtable at the ecl foundation children’s charity www.eclfoundation.org on Monday 23rd Nov where he shared expertise in discussions with a number of teachers, scholars, and stake holders in cultural and digital education in the UK. Supported by the Royal Mail this roundtable discussion with key experts in the field of cultural and digital education, exchanged ideas on learning the contemporary landscape and scoping needs and opportunities (digital, communications, and cultural education being the key points of interest). 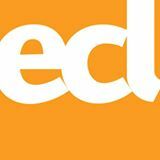 ecl are a small international charity working across sectors to support a more holistic, creative, and effective engagement with children and youth, particularly those most vulnerable. They work largely with education, but more and more across the multiple sectors that influence, provide for, or rely on youth. This event was supported by Royal Mail (Stamps and Collectibles division) and Fantom (a digital sticker book developer based in Dublin) and took place in central London.